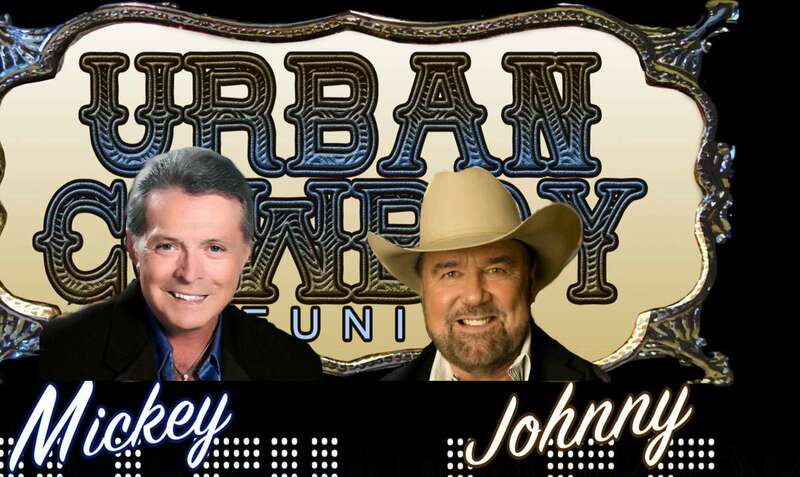 The Mickey Gilley & Johnny Lee Urban Cowboy Reunion Show at the Mickey Gilley Theater is one of the most entertaining reunion shows in Branson that features two of the best country singers in one show. Watching the legendary Mickey Gilley live on stage will surely make your trip to Branson a memorable one. Throughout this reunion show in Branson, you will be impressed with the musical talents of this legend as he plays 39 of his top hits, including 17 tunes that made it to the coveted #1 spot on the country music charts. Whether you know Mickey from the hit “Stand by Me” from the popular movie Urban Cowboy or a die-hard fan of his album, you’re sure to find a great time listening country music with this energetic show. If you enjoy country music, comedy, with some storytelling, make sure you see the Mickey Gilley & Johnny Lee Urban Cowboy Reunion Show. This musical medley and comedy show will take place in the 950-seat Mickey Gilley Theater in Branson. Famous for his turn in Gilley’s bar in Texas, Mickey and his band have found a favorite niche in Branson. So don’t miss to hear Mickey Gilley play his unique honky-tonk piano with the accompaniment of his back-up singers. Three horn players round off the lively sound of his band. Performing along with Mickey Gilley for “Urban Cowboy Reunion Tour” in Branson, Johnny Lee has worked for many years as a back-up singer and trumpeter in Mickey Gilley’s band and was a guest headliner at Gilley’s Texas nightclub. The easygoing vocal style of Johnny Lee can be heard on “Lookin’ for Love,” a million-seller hit and the musical centerpiece of the 1980’s film “Urban Cowboy”, filmed on location at Gilley’s club. The two country legends are reuniting for a series of live concert dates throughout this year 2018 in Branson. After working together for over 50 years, Gilley and Lee have a friendship and stage chemistry that is incomparable. The two country singers can be seen throughout the year in their hometown of Branson, Mo. at Mickey Gilley's Shanghai Theater. If you want to see the most entertaining reunion show in Branson, check out the Mickey Gilley & Jonny Lee Urban Cowboy Reunion Show at the Mickey Gilley Theater in Branson.